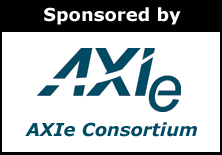 Welcome to the June 2016 issue of the AXIe Newsletter. As modular instruments gain market share in the test and measurement industry, vendors have a choice of architectures. PXI is the most prevalent modular standard, and VXI is the oldest. However, AXIe offers advantages that vendors of instrumentation products should consider. This paper makes the case for AXIe. Modular architectures are taking market share in automated test applications due to size, speed, flexibility and cost advantages. A number of dynamics are positioning modular instruments to take even more share as the industry addresses new communication and mil/aero challenges. While PXI is the most prevalent of the modular standards, AXIe is the fastest growing. As vendors consider their options, AXIe may be the exact architecture they need to address the applications of the future. For many applications, AXIe delivers a density, performance, or cost advantage over the PXI alternative. Achieving the aggressive goals set out for 5G cellular communications, including over-the-air data rates up to 10 Gbps, requires utilization of new cm or mmWave frequencies for wireless access. Today’s mobile channel models, however, were developed for frequency bands below 6 GHz and are not adequate for cm or mmWave frequency bands. Channel sounding is a technique used to measure and characterize new potential air interfaces for the development of channel models for 5G communications systems. Characterization of the air interfaces need to accommodate for time-varying measurements and multi-path propagation in new frequency bands in order to capture the channel impulse response (CIR) for each given frequency. Once the CIR is acquired, research engineers can extract the estimated channel parameters via post processing for the creation of new 5G channel models. If you’ve looked recently at any publications about communication networks, you have seen the buzzword, 5G, for fifth generation wireless networks. While the current 4G LTE networks continue to be expanded and updated, the industry is hard at work defining the next leap in wireless communication. It promises 10Gb/s data rates and under 1ms latency for future users. The breakthrough is achieved by jumping to the millimeter wave frequencies, approximately 30GHz and beyond, where spectrum is plentiful but ill-behaved. Frequent readers of this column, Test Cafe, have seen me comment on the implications for test equipment - higher frequencies, huge bandwidths, new protocols, and overwhelmingly modular due to the multi-channel nature of the beast. I stand by those predictions. 5G offers both opportunities and challenges for test equipment vendors. The opportunity is that new technology waves will enable large swings in market share in an otherwise static marketplace. The challenge is that the measurements are really, really difficult. In Part 1, I explored the drivers and application behind 5G mmWave communications. I roamed the halls of IMS (International Microwave Symposium), searching for the business justification for 5G, testing each of the hypotheses. In Part 2 of this series, I look at the T&M equipment now available for 5G. Frequent Test Café readewrs know that I’ve written about Keysight’s 5G channel sounding system, and National Instrument’s 5G prototyping system in the past. No need to repeat those summaries here; my goal was to sniff out what was new at IMS. For the record, there are a lot of standard products that could be used inn some aspects to test 5G – mmWave network analyzers, signal generators, and signal analyzers, for example. I’ll note that I saw plenty of equipment from Anritsu, Keysight, and Rohde & Schwarz that fit into this category.